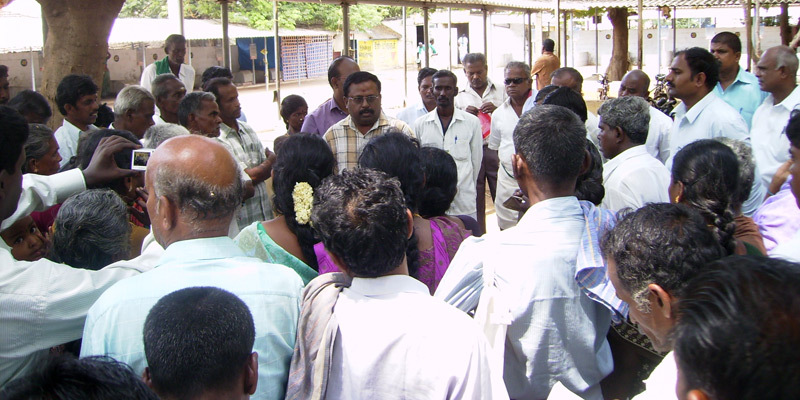 GCF Chairman addressing farmers on success of Commodity group concept in MilK ,Pulses and Maize Buy back System. 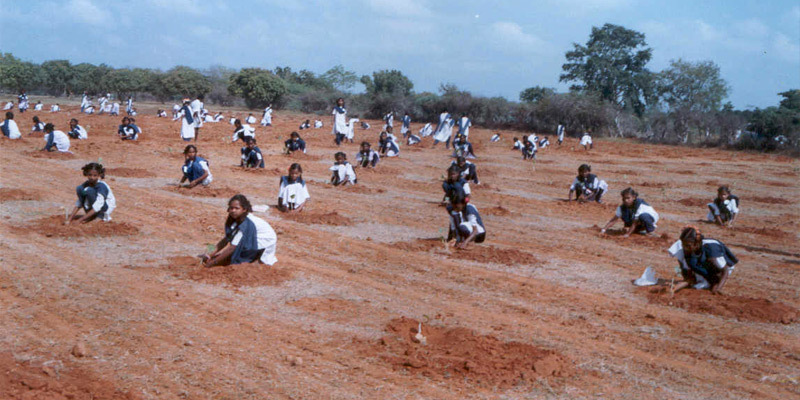 GCF is a non profit grass root oriented Rural and Urban Development Organisation for the poor, functioning from 2003 onwards and has been duly registered as a public charitable trust under Indian Trust Act 1882 since 14th February 2005. 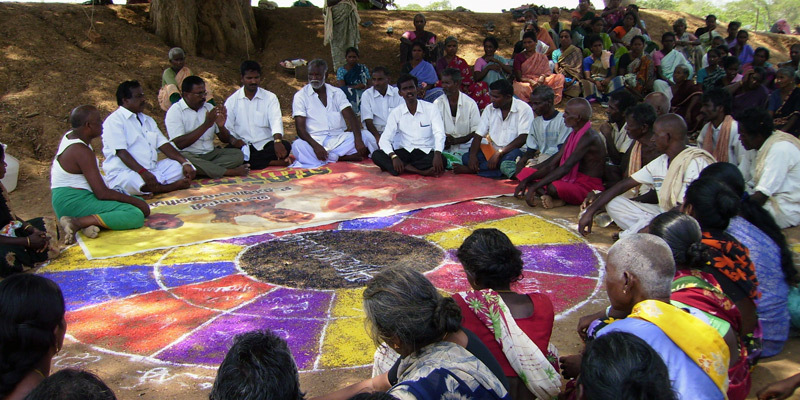 At present, it is involved in the Development and Betterment of Rural and Urban Poor Livelihood. It is also registered with Income Tax Department, Government of India under the office of the Commissioner of Income Tax, Chennai under PAN Number and approved under section 80 G (5) of I.T. Act 1961, granting relief and exemption for donations made towards the trust. Furthermore it has also received FCRA Registration, permitting inflow of foreign funds. 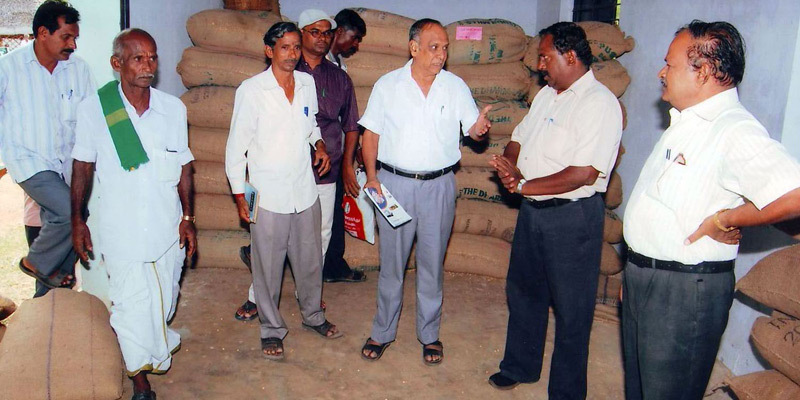 GCF Founder Chairman and Trustee Mr. V. Ravindran, B.Sc., (Agri). M.S.W., is an Agricultural graduate with specialization in Plantation Crops and has done a post graduate course in Master of Social Work. 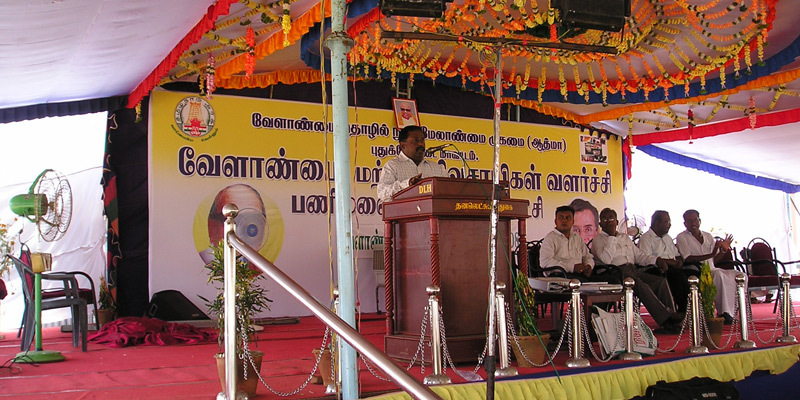 He has immense hands on experience in Agriculture for more than twenty years in various aspects like Regular Crop Cultivation, Agro-marketing, Horticulture, Plantation Crops, Watershed Programming and Agriculture marketing, to mention a few. He is well versed in the technology of various agricultural domain and related fields across India as well as abroad.